Jessica is an art consultant with over 10 years of experience working in the local and national art markets. Prior to joining The Art Registry in 2010, she worked for a leading contemporary art gallery and curated numerous exhibitions in galleries and alternative art spaces. She was a member of the Board of Directors of the Washington Project for the Arts from 2012–2018 and co-chaired the 2013–2015 Art Auction Galas. She served on the 2016 Art Selection Committee for the DC Commission on the Arts and Humanities Art Bank Collection. 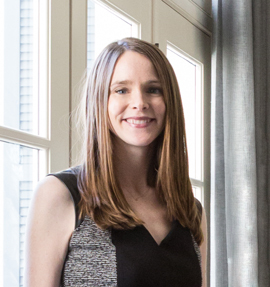 Jessica received her Masters Degree in Modern Art, Connoisseurship and the History of the Art Market from Christie’s Education, as well as a BA in Art History from Tulane University. Jessica is an art consultant with 10 years of experience working in the local and national art markets.